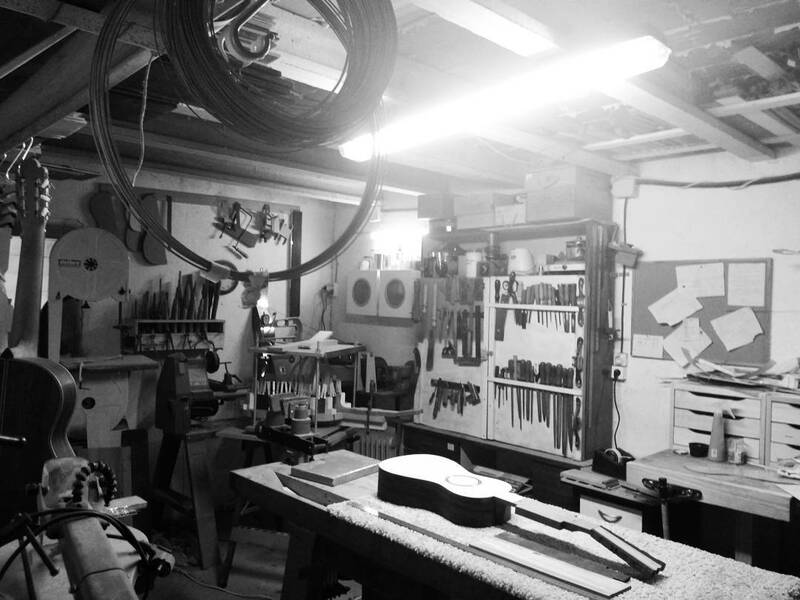 My name is Joan Pellisa and I am a guitar maker, that is, a luthier of plucked instruments. For more than twenty years, music in various ways has been my way of life, whether it’s from interpretation, research or construction. I have had the privilege of learning the craft from the hands of the teacher and great friend Jaume Bosser and of the beloved and annoyed Raúl Yagüe, but who has definitely marked a turning point in my training has been José Luis Romanillos. I’ve learned many things from him, some related to guitars and many other related to other aspects of life. I am very proud to say that he has been and still is a great master and, above all, a great friend. I can not even disregard everything I have learned from many hours of conversations with Carlos González, Stefano Grondona, Carles Trepat and many others. If a good part of my training has been thanks to all these people, the other part has given me the study of hundreds of historical instruments of all kinds, since for a decade I have worked in the documentation and cataloging of instrumental and sound funds of the Museu de la Música de Barcelona. Apart from the work at the museum, and as an important part of my work, I have studied and restored dozens of guitars that set a temporary field that goes from the 16th to the 20th century, specializing in historical Catalan instruments and in the work by Antonio de Torres. The experience at the workshop and the organological and documentary research are the basis of my work, and I seek to understand the great masters of the past as much as possible in order to reproduce, as far as possible, the sound of their great works.